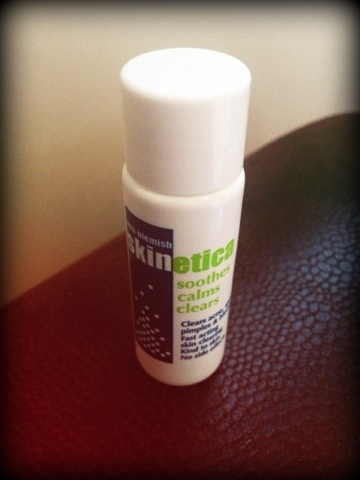 Last month in one of my beauty boxes I received a sample of Skin Etica which I did a review on. Well a month on and my skin has never been better and I just had to write an update to tell you this. I still have scaring from previous acne but that is only to be expected but this product really has done what it says on the bottle - Soothes, Calms & Clears. I logged into the Skin Etica website to buy a larger bottle - £9.95 for 100 mls but I noticed that they are giving away free samples, just enter your name, email and address here and they will send you out a sample bottle like the picture above. I ordered mine on Monday and it arrived today. Think i'll get one sent to my mum, sister and mother-in-law too lol. Cheeky? Who cares. It comes with a full set of instructions too. Let me know if you get this. But I can't recommend it enough. Ooh thansk for sharing, I'm going to try to order one now! Great review, sounds like a great product! Sounds like a great product. Thanks for sharing. I am a new Follower from the I Love My Blog Post Blog Hop. Take care and have a good weekend.